During the early Middle Ages, when the Norsemen commenced their campaigns of conquest and exploration throughout much of continental Europe and overseas, they had built a wide range of vessels in order to navigate on sea, rivers, oceans, lakes and channels. These Norse ships are mainly referred to as ‘drakkars’, but depending on the purpose for which they were built they also had various other denominations. These vessels contributed to a large extent to the maritime supremacy of the Vikings during the Dark Ages, being thus reputed for their manoeuvrability and speed on all bodies of water. A classic Viking Age ship was 100 feet long and 25 feet wide and could carry a crew of almost 200 armed men with 50 oars, achieving speeds of 11 knots (or 20.372 kilometres per hour). Below is a top of the three main Viking vessels used during the Viking Age. Although not necessarily a longship, the Faering was one of the first types of ships to be built by the Norsemen in order to navigate on the coastlines. The term comes from Norwegian via Old Norse and it literally translates to ‘four-oaring’. Being an open boat, it has two pairs of oars and is very light. It is reminiscent to the Western and Northern parts of Scandinavia and was mainly used for fishing rather than navigation. 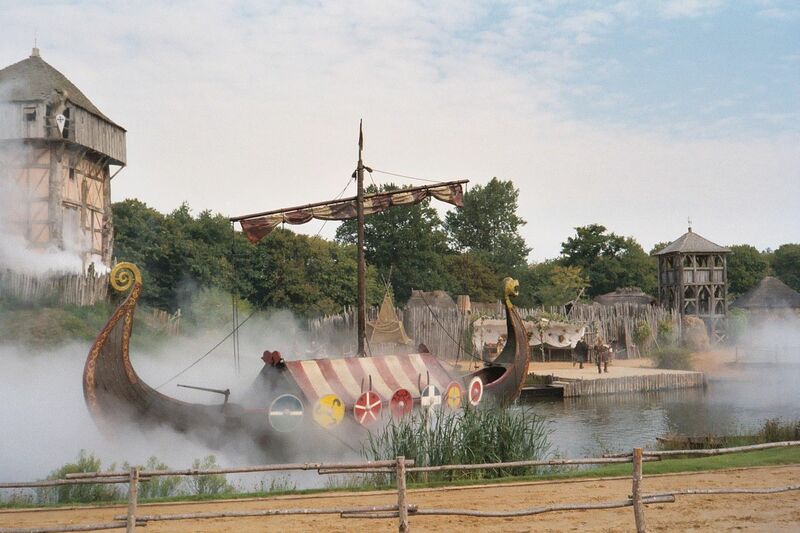 The Karves were small Viking longboats which were used for transport and war alike. Because of their size, they were intensively used for coasting and they were extremely useful for stocking food, goods and weapons. Generally, the Karves had a maximum number of 16 oars. ‘Knarr’ stems from Old Norse and means a ship meant for long sea voyages, since it was mostly used as a merchant vessel. Its design is very much similar to that of the cog, another merchant ship used by the Hanseatic League in the Baltic Sea several centuries later. Love the Norwegian history. So many interesting stories. Enter your email address to subscribe to The Dockyards and receive notifications of new posts by email. Copyright © 2019 The Dockyards. Proudly powered by WordPress. Silverclean design by Iceable Themes.